The Fab Four’s final public performance took place 50 years ago. The idea first came to be as the band brainstormed about where they wanted the concert to take place. It was also going to be their first live performance since they stopped touring in 1965 – the height of Beatlemania. According to the magazine Rolling Stone, proposed locations included: the Sahara Desert, a Roman amphitheatre in Tunisia, the Giza pyramids and the QE2 ocean liner (AKA that fancy ship in Port Rashid). The concert was the coup de grâce to the Get Back recording sessions which was marked with a lot of infighting in the band. This was the time when the four men were starting to go their own ways and being together, it was clear, just wasn’t going to cut it anymore. 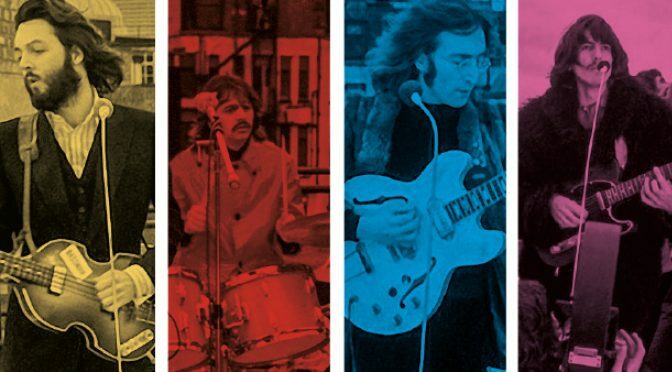 These acrimonious sessions were immortalised in the film Let It Be, which was also the name of their final album; more on that later. That concert marked the end of the band and with it, the end of an era. My grandfather had a bootleg recording of the concert that he played more than once. I was in my teens when I started to appreciate the film more. As a kid I loved watching Yellow Submarine because, well, it was cartoons. Now, I loved Let It Be for transporting me to that fateful day, being with the London crowd, hearing the Beatles’ swan song. The rooftop gig ran for about 42 minutes before police had to step in because of noise complaints. In those 42 minutes, the band played nine versions of five songs. The songs were Get Back, I’ve Got a Feeling, One After 909, Dig a Pony, and Don’t Let Me Down. Of those songs, Dig A Pony and Don’t Let Me Down remain my favourites. The nonsensical lyrics could either be intentional or otherwise but what mattered in that song were those five words — Lennon requested an Apple Corps staffer to hold up lyric cue cards while he sang. Be that as it may, the song remains his proclamation to the world that he only wants Yoko. And of course, they remained a couple until Lennon was shot in 1980. “And while Lennon read a book on Marx, the quartet practiced in the park” (Lennon’s protests, counterculture influences; The Beatles’ 1966 Candlestick Part concert). “Helter skelter in summer swelter” (Helter skelter is a song from the White Album, also named after the series of murders perpetrated by Charles Manson and his Family). “Well the halftime air was sweet perfume while sergeants played a marching tune” (When the band dressed up as Sgt. Pepper’s Lonely Hearts Club Band). Two years after the summer of love ended in 1967, its message was carried over by the Beatles. Don’t let me down, they told the world on that rooftop. Sure, the song is about asking your loved one not to hurt you, but it’s not that hard to see them use the ditty to talk about love that is larger than what is shared by a couple. With John on vocals, this correlation is even more obvious since Lennon was already an ambassador for peace with his multiple bed-in protests calling for the end of the Vietnam War. At the end of the 42-minute performance, the cops shut the concert down but not before Lennon quipped: “I’d like to say thank you on behalf of the group and ourselves, and I hope we passed the audition.” Yes you did, John. Yes, you did.